SINGAPORE, SINGAPORE, SINGAPORE, October 24, 2018 /EINPresswire.com/ — Tectura, the largest Asian provider of business consulting, implementation and support services across an array of technology solutions, announced today the appointment of Mike Muller as the Chief Executive Officer. Mike is a trusted business leader with a track record of more than 15 years successfully leading businesses at a senior level in the Asia Pacific region. He has worked successfully in large, small and start-up companies, across a broad range of functions: Business Strategy, Sales, Marketing, Product Development and Finance. 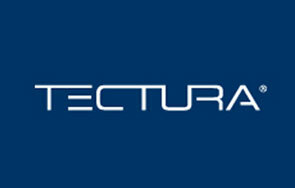 “The hiring of Mike by Tectura is consistent with the company’s plans to move its headquarters from the U.S. to Asia. In doing so, the Company intends to raise local funding for investment in new geographies to support its growth plans, including geographic expansion in to ASEAN and increasing the number of locations in North Asia and India.” said, Keith B. Hall, Chairman, Tectura Corporation. Mike has a Bachelor of Business degree from the University of Technology Sydney and a Master of Commerce degree from NSW University. Tectura provides consulting, implementation and support across an array of ERP, CRM, Business Intelligence, Cloud, AI and Mobility solutions to companies across Asia. With 6000+ clients, Tectura leverages its expertise in Microsoft Dynamics technology to deliver best in class solutions designed to help companies meet their operational, financial, regulatory and technical challenges. With more than 400+ team members across 10 offices in 5 countries, Tectura applies its industry knowledge and best practice philosophy to provide Microsoft Dynamics® ERP, CRM and technology solutions throughout Asia.